Registration forms were distributed on 10/18/18. Registration Form Completed forms are due to Mrs. McVerry on or before November 7th. *If you are unsure which high school your child will attend, please make your best guess on the registration form and if you change your mind the high school informed me that the change will NOT be a problem. Parent Program will be held on January 9th at 6:30 pm in the VHS Theater. Hunterdon County Vocational School District applications for the Computer Science Program, Environmental Sustainability and Engineering Program, and the Biomedical Program are due December 15th. Applications are now available on the Hunterdon County Vocational School District website. Course Selection Guide available January 1, 2019, on the Vorhees HS website . Students registered with Voorhees will attend a 1/2 day Orientation on _January 8th___. Completed Course Request Forms are due to Mrs. McVerry on _January 7th_. High School Guidance Counselors will be reviewing the 8th graders' Course Request Forms. Appointments are available on January 14th-28th. Parents should contact Voorhees Guidance Department to schedule a 15 minute appointment to review your son/daughter's course selections. Call 908-638-2130. Registration forms were distributed on 10/18/18. Registration Form Completed forms are due to Mrs. McVerry on or before _November 7th_. *If you are unsure which high school your child will attend, please make your best guess on the registration form and if you change your mind the high schools informed me that the change will NOT be a problem. Parent Orientation Program January 15th at 6:30 pm in the Theater. Course Selection Guide available January 1, 2019, on North Hunterdon High School website. 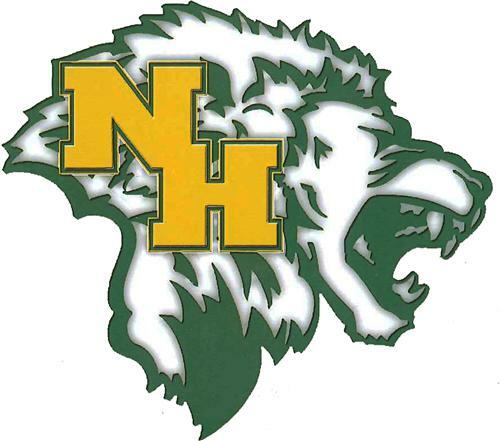 Students registered with North Hunterdon will attend a 1/2 day Orientation _January 15th___. On __January 7th__Completed Course Selection Forms are due to Mrs. McVerry. North Hunterdon Guidance Counselors will be available to review Course Request Forms _February 1st-15th___. Parents should call the Guidance Department at 713-4130 to schedule a 15-minute appointment to review your son/daughter's course selections. Clinton Public 8th graders have the choice of attending either North Hunterdon High School or Voorhees High School. Please begin discussing this choice as time moves fast. Before you know it, we will be filling out high school registration forms...this usually takes place end of October/early November. Between September and January, the 8th graders will be introduced to the scheduling process, including course options for freshman year. As scheduling information becomes available from each high school, it will be passed along to the students and parents, including website updates. If you would like to schedule an appointment to discuss high school scheduling, please feel free to contact me at amcverry@cpsnj.org or call 735-8512, ext. 251.